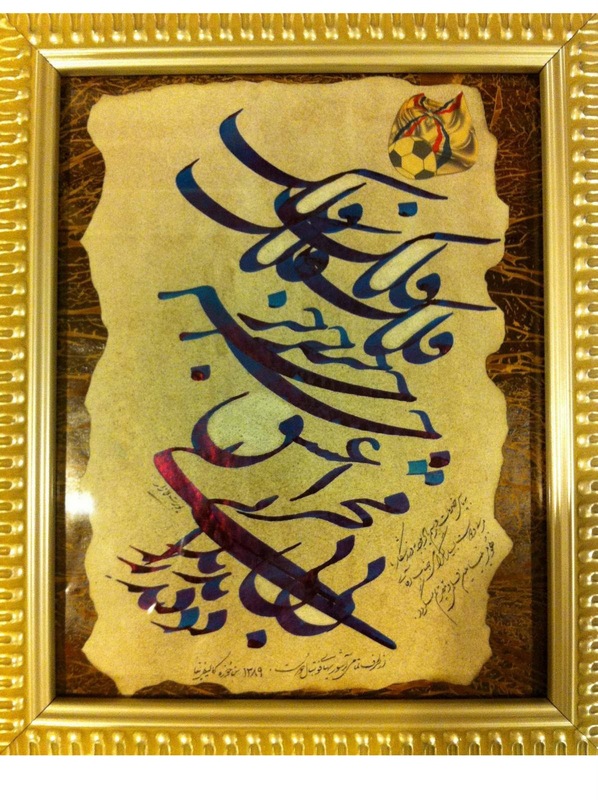 Calligraphist Youbert Lazar might not be well known to Assyrians around the world but he is a familiar name and face among the Iranian art community. This year, the Mesopotamian Night team has approached him and we proudly announce that his donated art will be auctioned at our event. 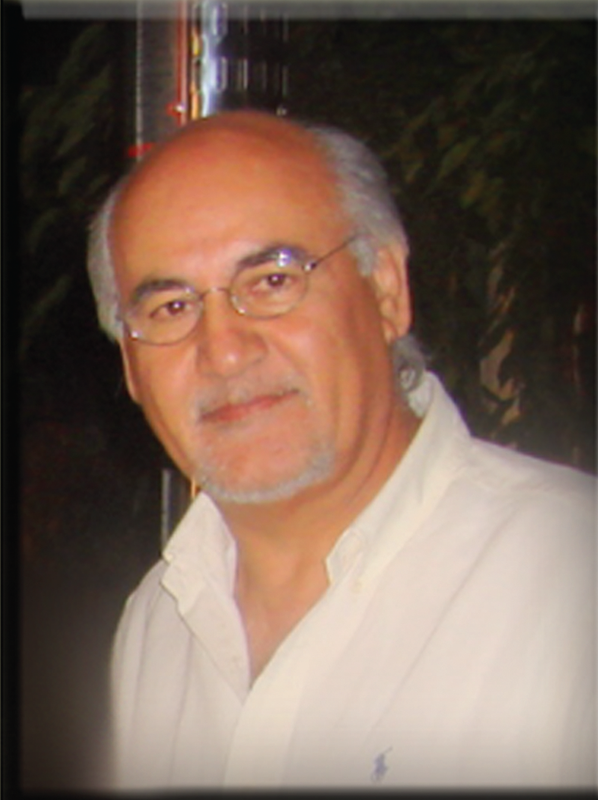 We welcome him to a growing number of artists joining us for a spectacular display of Assyrian arts and culture. Mr. Lazar has also made efforts to join the small club of Assyrian Calligraphy artists. In his private communications Rabi Issa Benyamin has always admired and commanded his artistic talent and has encouraged him to also contribute to Assyrian calligraphy. Art is the reflection of beauty. 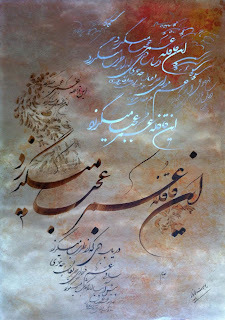 Calligraphy, the art of giving form to signs in an expressive, harmonious and skillful manner, is a type of fine art. One of the most beautiful and complicated forms of calligraphy is the art of Nastaliq, which is traditionally considered to be the most elegant of the Persian scripts. Your eyes will enjoy watching the words dancing together with their natural curves in harmony. It is known as “The Bride of the Calligraphy Scripts”. Youbert Lazar was born in 1946, Urmi, Iran. He, accompanied his family, moved to the beautiful historical city of Hamedan in 1950. His passion for lettering began with the learning of Nastaligh handwriting at the primary school. He practiced calligraphy imitating beautiful scripts enthusiastically. He was always applauded by veteran calligrapher Hasan Asasi. In 1958, his high school literature teacher, Ahmad Ghayemi, encouraged him to begin practicing under tuition of Ghlolam Hosein Homayouni, one of the most well-known Iranian mentors. 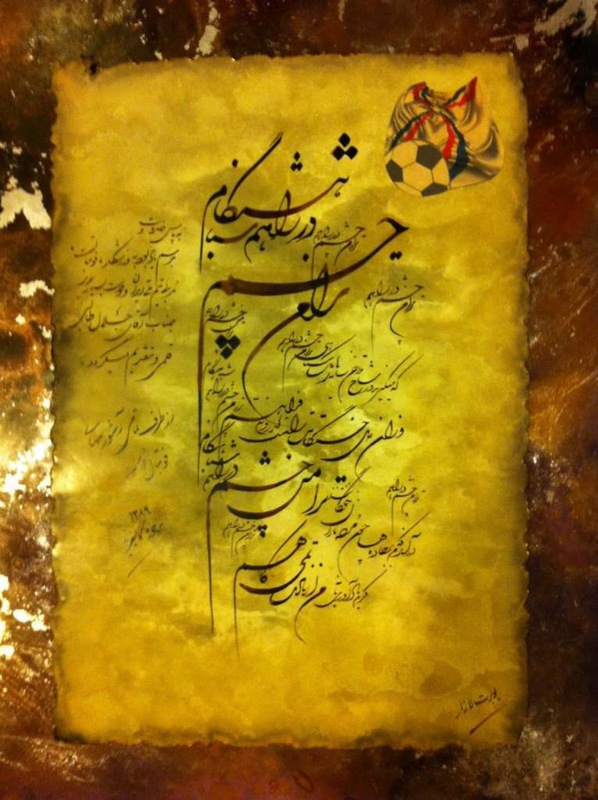 A few years later, he continued learning of calligraphy under tuition of Bahman vakiliyan and he became a member of the Hamedan Calligraphy Society. 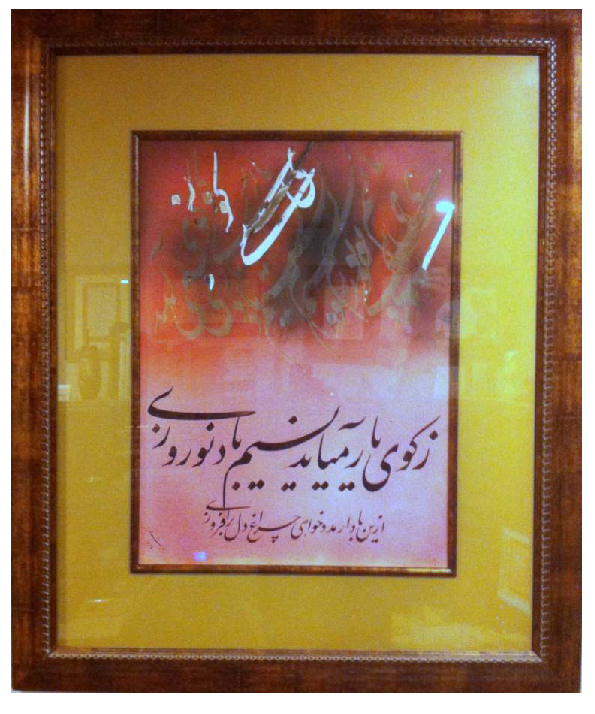 At the same time, he started teaching and calligraphy for advertisement signs. 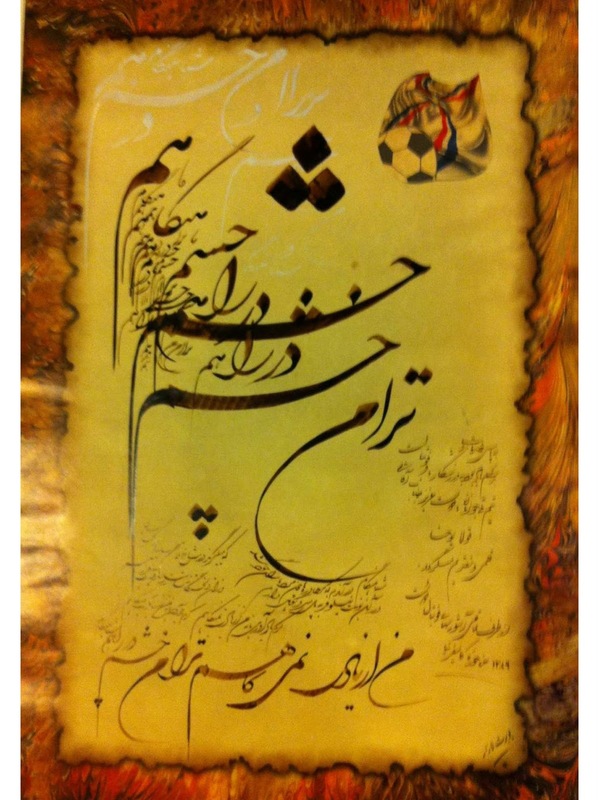 Traveling to different cities of Iran in 1963, he started topography and cartography. He then migrated to America and settled in San Jose, North California and continued cartography. 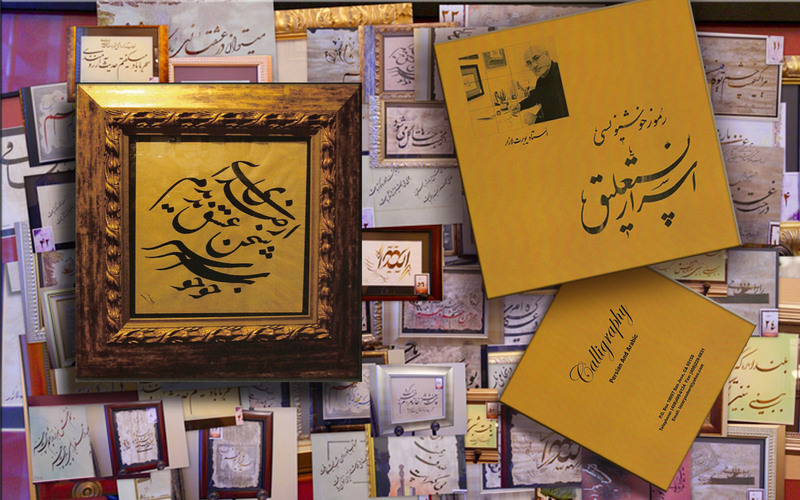 Since then, he has been collaborating with various magazines and media regarding calligraphy, tutoring and teaching in Persian schools. 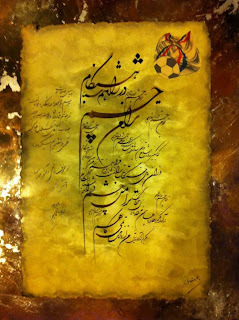 In recent years, he held some local exhibitions which were applauded by Iranian community in America.